The RACKMUX® SUN USB KVM Drawer combines a rackmount LCD monitor, SUN USB keyboard and 3-button trackball mouse in a space-saving 1RU industrial strength drawer. 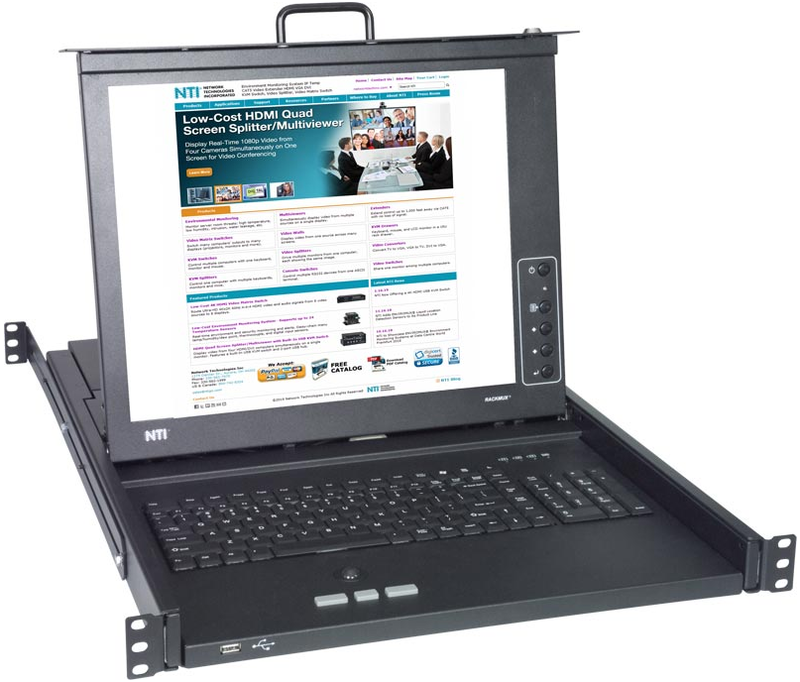 It is available with a forward-folding 17" (432 mm) Active Matrix LCD flat panel VGA monitor. 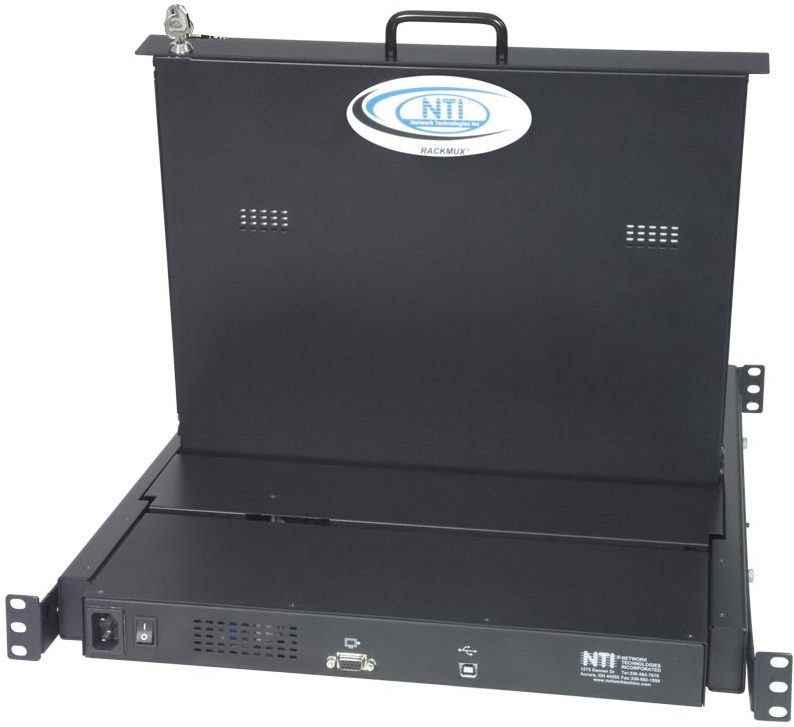 The RACKMUX® SUN USB KVM Drawer combines a rackmount LCD monitor, SUN USB keyboard, and trackball mouse in a space-saving 1RU industrial strength drawer. Forward-folding 17" (432 mm) Active Matrix LCD flat panel VGA monitor. Optional sunlight readable monitor available. Available with 17-key numeric keypad or large wrist-rest. Vertical: 56 to 76 Hz. Vertical: 50 to 75 Hz. RACKMUX-VS17-T: 97-key SUN-compatible keyboard with wrist-pad. RACKMUX-VS17-NT: 114-key SUN compatible keyboard with numeric keypad. RACKMUX-VS17-T	 SUN USB KVM Drawer, Trackball mouse 17"
RACKMUX-VS17-NT	 SUN USB KVM Drawer, Trackball mouse, Numeric keypad 17"
RACKMUX-VS17-TS	 SUN USB KVM Drawer, Trackball mouse, Sunlight Readable monitor 17"
RACKMUX-VS17-NTS	 SUN USB KVM Drawer, Trackball mouse, Numeric keypad, Sunlight Readable monitor 17"